Our corporate partnerships make a crucial difference to our work, enabling us to be there for more families and to continually improve the support we provide. Impero works with educational establishments, charities and specialist organisations across the world, to develop a range of powerful classroom management software solutions designed to promote a better, safer and more dynamic learning environment. "Family Lives, and its associated organisations Bullying UK and Positive Boundaries, holds a fundamental mission to better the lives of children and young adults, while providing vital support. Tackling critical issues such as bullying and sexual exploitation, Family Lives’ mission is one shared by Impero. Impero’s innovative online safety technology aims to ensure the safety of children and young adults in education, as they navigate their lives in an ever-increasing digital world. Working in partnership with Family Lives helps Impero to identify, educate and safeguard both students and school staff against bullying and sexual exploitation - key to creating a stronger and safer society". 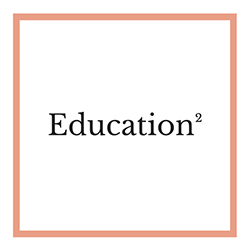 Education Squared is an alternative education company tackling difficult subjects through theatre in education and workshops. "Working with Bullying UK is more than we could have hoped for when setting out on our project of tackling difficult subjects such as anti bullying. The charity has been amazing by providing tremendous resources and time to help us achieve the common goal. We look forward to a long partnership with Bullying UK creating many more powerful projects for young people". Anomaly works with schools to provide an innovative digital TV channel and interactive equipment, helping schools to meet criteria outlined by OFSTED, improve grades, community cohesion, global citizenship and parent communication. Get your company involved to raise awareness, raise funds and have fun.